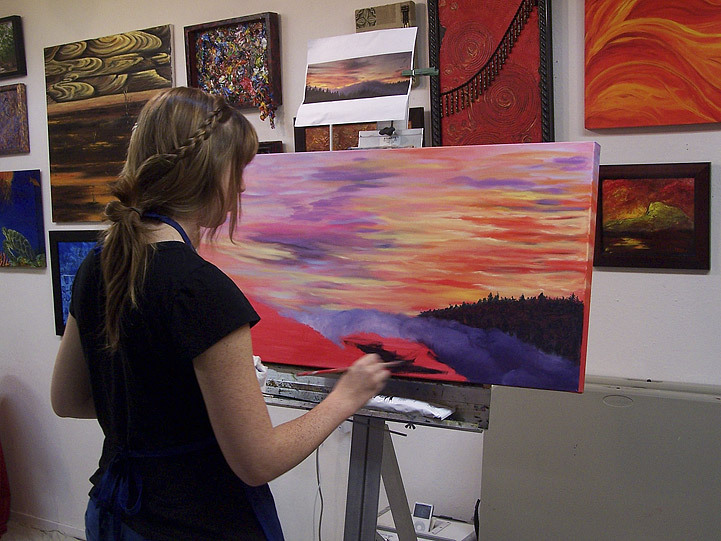 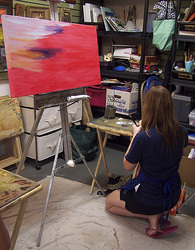 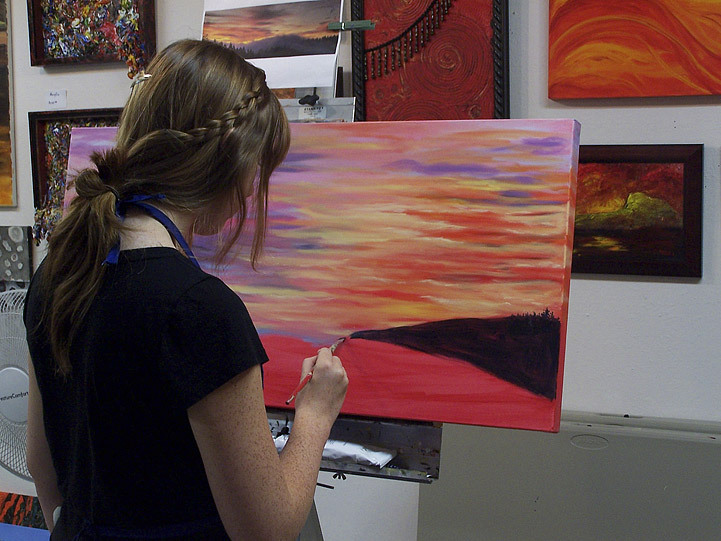 Carissa is new to Art E Studio but not new to painting. 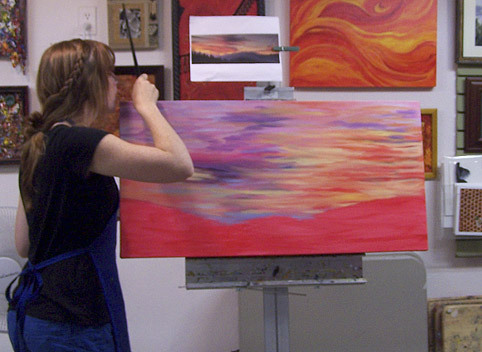 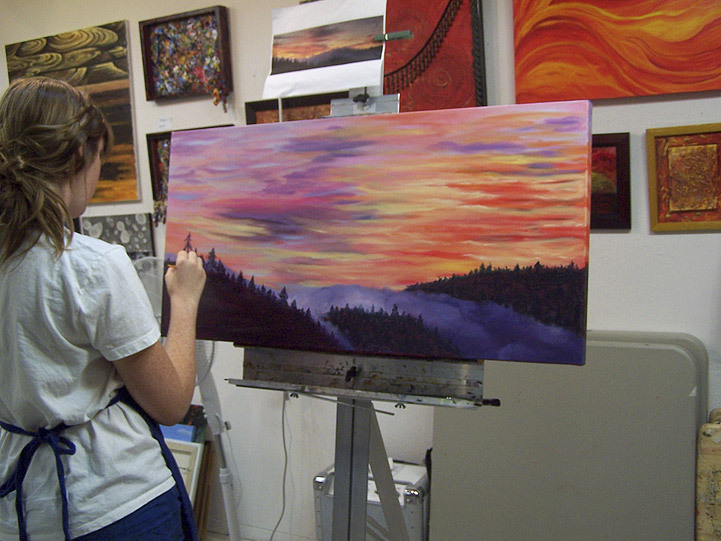 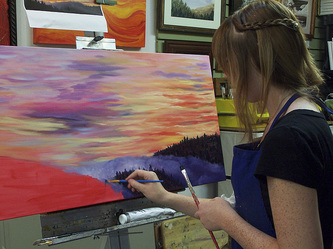 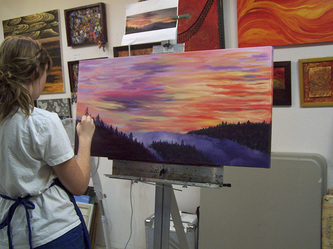 She worked in acrylic and oil painting on her own before joining us here. 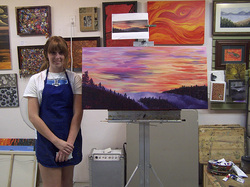 Featured on this page is her second completed painting. 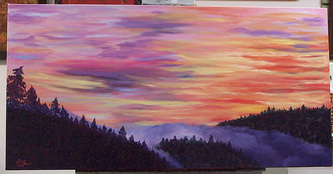 She created this one as a wedding gift for a friend of hers. 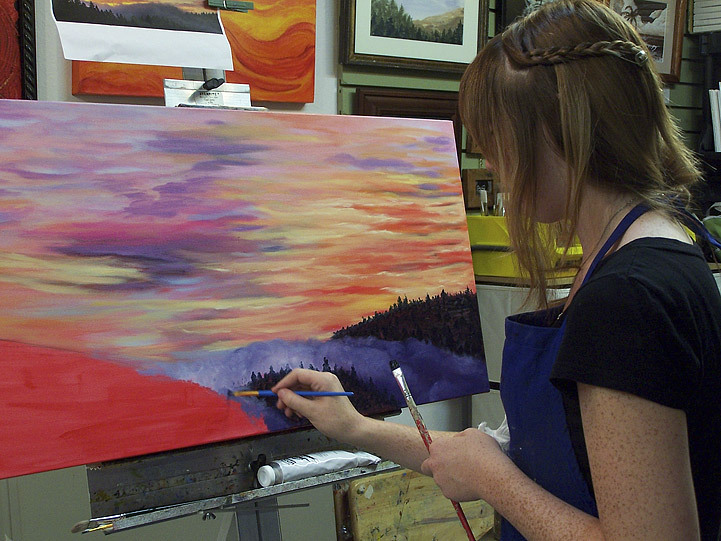 Carissa challenged herself to get it done in time for the wedding. 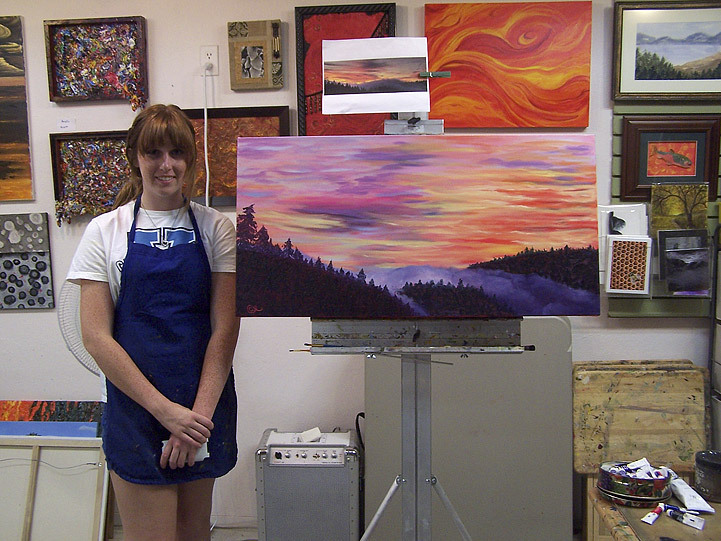 No problem there, she completed the piece in just over 5 hours (two and a half classes).